If you have a travel blog and want to get listed on Romancing The Planet, look at the bottom. Backstreet Academy – This is where you’ll find the best travel experiences, hosted by friendly locals. 2 Nomads 1 Narrative – 2 nomads = 1 American+1 Welshman. 1 Narrative = the blog. A Dangerous Business – One ordinary girl ……… life’s extraordinary adventures. Be On The Road – Travel and Photography Blog of a world traveler from India with special interests in Adventure Travel, Wildlife and Cultures. Budget Travel Guide – Save your money and see the world with city guides that provide free and almost-free activities for travelers. Budget Travel Tips – Budget Brak, Travel Tips, Travel Inspiration. Global Grasshopper – Travel tips and inspiration. Globocation – Educating the world through travel. Go PowerKicK – Travel, Eat and Powerkick! Indie Travels – Make your own road with these guides and tips for independent travellers. Indie Trips – A travel site that focuses on independent trip advice for independent travelers. Kan Can Do – A blog dedicated to the sights, sounds and tastes of the paradise isle Sri Lanka. LLWorldTour – Just a girl in the world. Man on The Lam – A cubicle-escapee with an addiction to oddities, Raymond writes about quirky getaways, offbeat attractions, and unique adventures. Mapping Megan – An award winning travel blog featuring travel tips, photography and inspiring stories. Martha Stewardess – Join sassy-mouthed Martha – flight attendant to the stars – as she makes her way around the globe. This is Living at 34,000 feet. Mimi’s Suitcase – Traveling the world in search of beautiful clothes and magical moments. Operation 421 – Where will life take you? Somewhere or Bust – Travel stories,tips and misadventures. Stingy Traveller – Stretching your travel dollar without compromising experiences, the Stingy Traveler shows penny-pinchers that inexpensive travel can be as effortless as it is rewarding. Tourist 2 Townie -Understand foreign communities through the people and culture that define them. Travel Escapism – Escape the everyday, any day with this travel site focused on weekend getaways. Travel Globe – Your destination for info on budget and adventure travel. Travel Max – Travel Stories for you! Travel Scamming – Enjoy the ride, don’t get taken for one. Travel WIRED – Visit Travel WIRED for travel technology tips and destination guides to keep you connected on the road. Traveling Round The World – Where the hell is Rory? TravelOCafe – Cultural and Luxury Travel. Two Beers and a Pretzel – The best way to travel the world is with Two Beers and a Pretzel. Venturists – Scribbles from the scenic route. FirstSiteGuide – The beginner’s guide to successful blogging. Bali Weather Map – Bali Weather Forecast Average year round,when to go for Travel,plus Bali climate Info and Bali Tourism Map. Best Beaches in Asia – Ideas for Asian beach vacations. Boracay Beach Real Estate – The Boracay Beach is your online guide to Boracay Island’s prestigious and popular accommodation. From hotels to resorts, Boracay Beach provide a good list of quality Boracay hotel or beach resorts. Lay Your Head Here – Hotel reviews written by travelers for travelers. 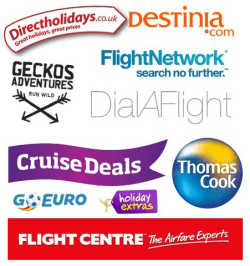 Loveholidays – Discover & book your perfect holiday. Teach English in China – They are a group of teachers that are dedicated to helping you find your dream ESL job. Their services are 100%FREE! Vacation Rental Apartments and Villas in Miami – Stylish, budget friendly & modern holiday rental apartments and villas in Miami. Exclusive districts, best locations! Online Booking! If you would like your blog to be listed on our directory add the following code to your website and contact us.